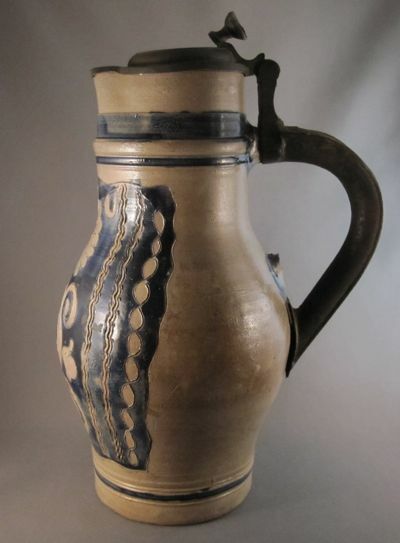 An impressive three quart baluster shaped stoneware pottery beer pitcher made in Haddonfield, NJ by Carl Wingender between 1820 and 1850. 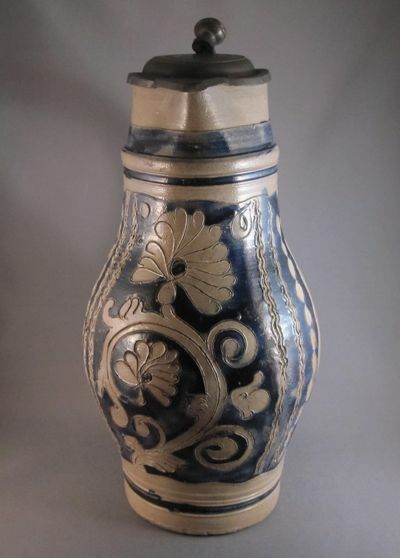 Jug has a hinged pewter lid and is decorated with an incised floral motif filled in with cobalt blue slip. 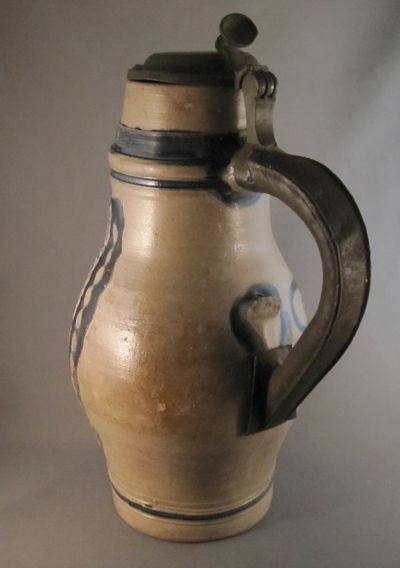 A hefty metal replacement handle was added after the original stoneware handle broke off, no doubt due to the extreme weight of the jug and its contents. Or due to the clumsiness of an inebriated drinker. 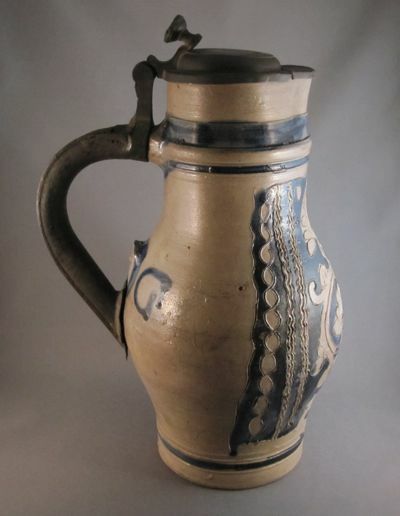 The original “make-do” repair incorporated a thick tin band that was attached at the bottom of the replacement handle and encircled the jug, covering up much of the front decoration. 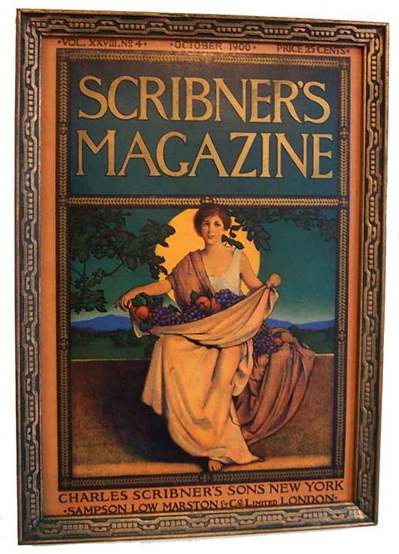 It may have rusted and fallen off, as I have seen on other pieces with similar repairs. 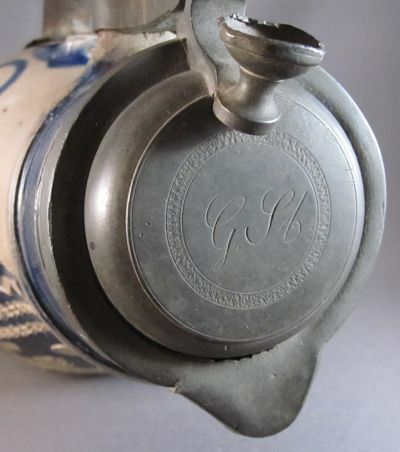 The top of the pewter lid is engraved with the original owner’s initials. 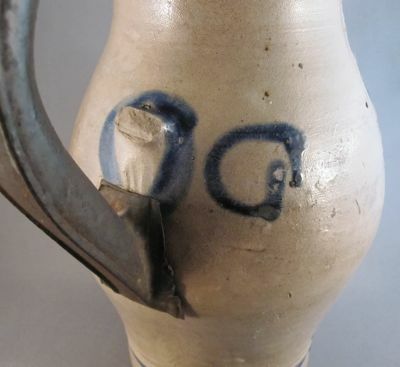 Wonderfully detailed sketch showing an almost identical jug with its original handle. 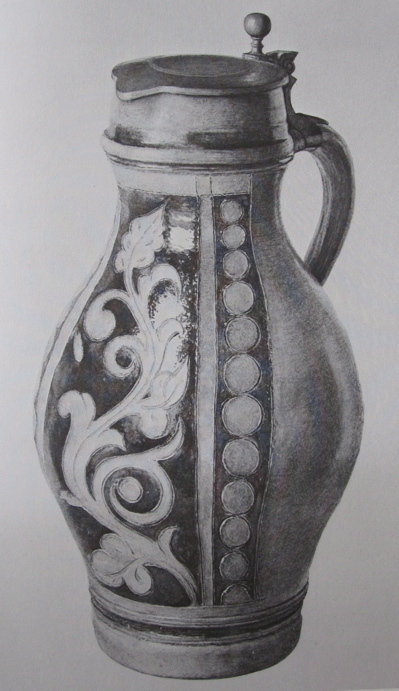 Drawing from the book “Early American Folk Pottery” by Harold F. Guilland, 1971.